KRIBHCO Recruitment 2015: The Krishak Bharati Cooperative Ltd (KRIBHCO) is a multi state cooperative organization has invited the application from the eligible candidates of Indian Citizens for the post of Graduate Engineer Trainee. This Graduate Engineer Trainee (GET) vacancies in the following streams like Chemical / Electrical / Mechanical / Computer / Civil / Electronics & Communication and Instrumentation. 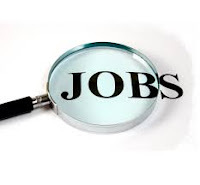 The candidates who are seeking latest Graduate Engineer Trainee job, then they can apply for this Krishak Bharati Cooperative Limited Recruitment 2015. Interested and eligible applicants go to visit the official site, then you can apply for the KRIBHCO GET job 2015. We provide the Graduate Engineer Trainee advertisement and apply online link on this page. The candidates just click that link, you must read the notification. If you eligible, then apply by online application. This recruitment is only for B.TECH Graduate from 34 listed institutes are given. National Institute of Technology, Pondicherry. Note: Ward of KRIBHCO employees from any Institute. B.TECH Graduate in relevant discipline from 34 listed institute only. Result awaited candidate can apply for this job. Age limit: The applicant age limit must be not more than 27 years as on April 30th, 2015. The training period for the aspirants will be one year. These GET will be required to execute a bond to KRIBHCO for a period of 3 years. After completing the training period and the bond amount Rs.2 lakhs for the General/OBC category candidate and SC/ST application will be paid Rs.50.000/-. Stipend: The pay scale of "G2" grade Rs.22000-46500/- with initial basic pay Rs. 22000/- per month plus usual allowance as stipend. CTC: Rs.7.8 Lakhs + accommodation /HRA (30% of basics). Pay Scale - Rs.22000-3%-46500/- with the initial Basic Pay of Rs.22660/- p.m. Plus usual allowances. CTC - Rs.9.0 Lakhs + accommodation/HRA (30% of basic). Note: The selected candidate will be have level of top executive (Director Level) in technical discipline. Eligible candidates may apply the KRIBHCO GET vacancy through the online official site at the kribhco.net. This recruitment application and short listing process are purely online process. Offline communication shall be entertained. Any query mail to kribhcoget2015@indiainformative.com. Important Dates: The online application will be started from 03-06-2015 to 24-06-2015 till midnight.